I’ve tried it all, it seems. I love makeup and “girly stuff!” I’ll be sharing my product reviews with you and would love your feedback on what I should try too! 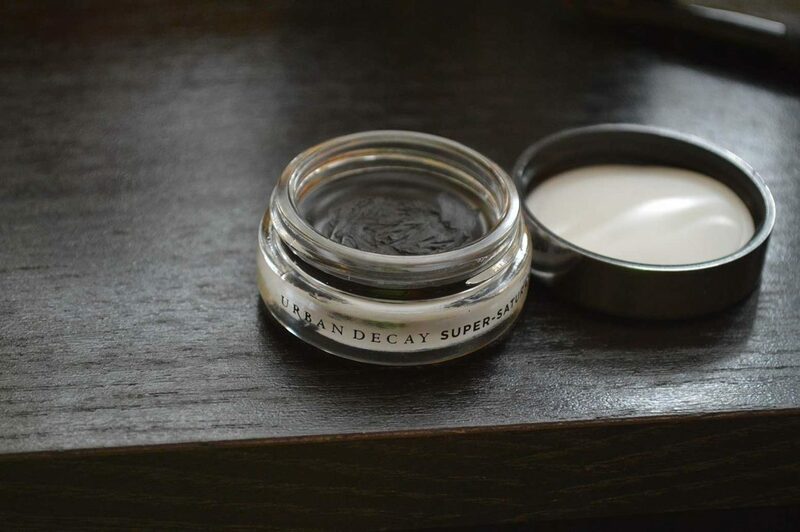 Today I’m looking at Urban Decay Super-Saturated Ultra Intense Waterproof Cream Eyeliner. I was at Ulta a few weeks ago, and the lady in line ahead of me was giving the clerk at the checkout counter all kinds of grief. Totally. Unnecessary. Can we just try to be kind to one another, friends? Geez! Anyway, when it was my turn to check out, I smiled real big and said something like, “Moving right along…,” and I started to joke with her. When she finished ringing me out, she looked at me and told me that she put an extra “give-a-way” product into my bag because I was so patient. So exciting! This girl was speaking my love language! …Urban Decay Super-Saturated Ultra Intense Waterproof Cream Eyeliner in the color Perversion! I would have never bought this on my own accord, so I was excited to try it out and share my review with you. But first—a personal pet peeve of mine—and Urban Decay is one of the very worst offenders… Why do cosmetic companies feel the need to hyper-sexualize our products with the names they select? They push the envelope. Could we just class it up a little bit, please? I think we ladies are worth a little more respect. OK, back on track. I used a small angled brush to apply, and it went on very well. It’s a soft, creamy formula that is easy to apply, and it dries quickly to give a smudge-proof wear. The color is very pigmented. This is good. Also, this one was super black, which I personally like. It’s a Vegan product, if that rings your bell. I was mentally comparing this to a MAC gel liner that I adore. It felt similar, but not exactly the same. The deal-breaker for me with this product was that it wore like a non-waterproof eye liner on me. I don’t think I have oily eyelids, but heck, maybe I do! I don’t have any issues with the other brand of gel eyeliner that I love, but with this one there was some major transfer. So… Shoot! I got this fun, free product with the yucky name to try, and it is a “Skip It” recommendation from me. If you don’t have problems with eyeliner or mascara transfer, and you love an intense black eyeliner, I suggest you give it a look in the store. I give Urban Decay Super-Saturated Ultra Intense Waterproof Cream Eyeliner in the color of Perversion a 1 out of 5. I like the intense black, and that is about all.